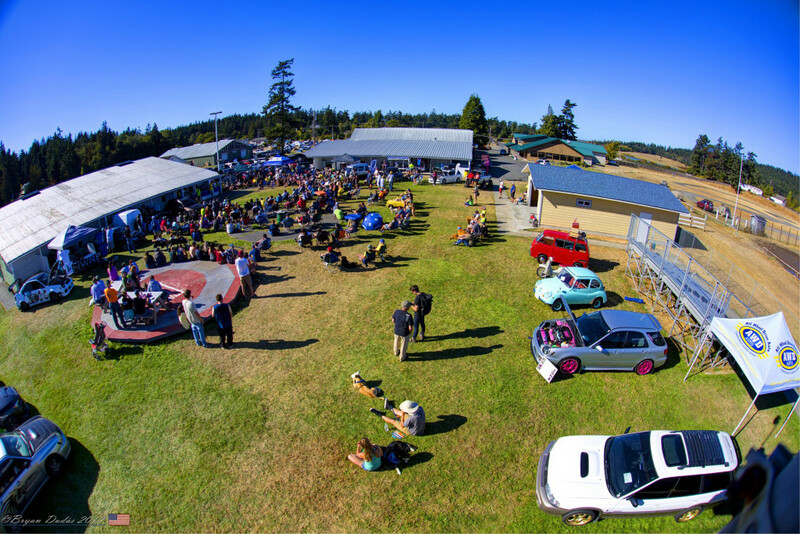 This year, Subaru-Adventures.com had the opportunity to bring three of its vehicles to West Coast Subaru Show 19 on the Olympic Peninsula held in Port Townsend, Washington on August 25-27, 2017 at the Jefferson County Fairgrounds. At the show we had special guest, Niegreisz Đäniel who traveled from Hungary to participate at his first WCSS. He arrived driving the 84’ GL hatch built by Gregg Huld along side Makiah Guisewite in the 99’ Impreza 2.5RS. Thank you both for driving and making it. 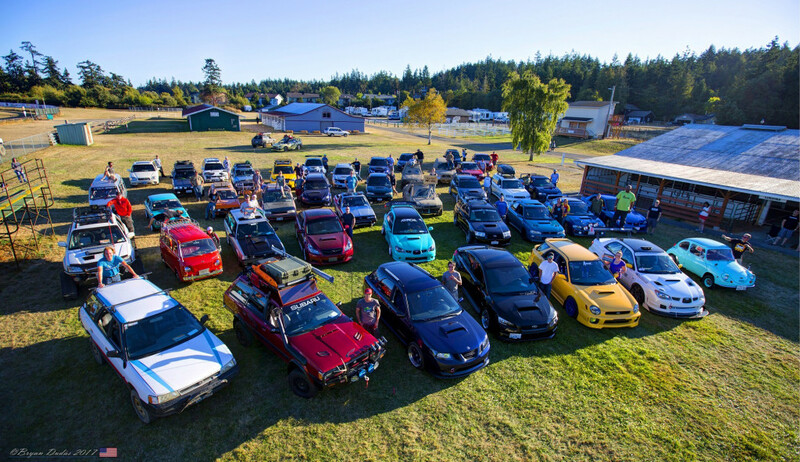 The three day event was full of action from a full display of Subarus at the Show-N-Shine car show with 21+ different classes to cover all model, years, and chassis that Subaru has released. There was also a 1965 Fuji Rabbit S-202 (Rabbit 90) manufactured by Fuji Heavy Industries equipped with a 90cc, single cylinder, 2 stroke engine. It was produced from 1962 – 1967 with a total of 26,924 produced. The original Cost was $495. Gary Cavett gives a tour of the Rabbit in the video. The mud pit opened where owners took to the mud in creating a dirty mud show for spectators, photographers, and drone operators. Unfortunately for my Phantom 4, there were technical difficulties due to an internal communication error resulting in no aerial footage. 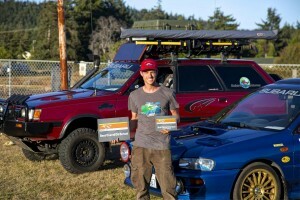 Jesse put on another spectacular show in his 1983 wagon as well as Terra Lynn Burk in her Subaru Impreza named ‘Kofuku’ and William Timmins with TSSFAB.US (www.TssFab.us) in his Bajabaru. The West Coast Subaru Show started in a small parking lot in 1999 and has become the weekend festival that exists now thanks to all the dedicated organizers including Chris Tex Walker, Monika Walker, Erich Breitkreutz , Brittany Little , Jay Spang & Sarah Spang, and a ton of other very valuable volunteers. Thanks as well to all the sponsors involved including Smart Service, All Wheel Drive Auto: Independent Subaru Expert, SubaruGenuineParts.com. The event offered overnight camping accommodations drawing Subarus from all over the West Coast from British Columbia to Arizona. This year, over 360 Subarus and around 720 people attended the event. At the end of the day, WCSS handed out the Show-N-Shine awards, as well as raffling prizes from what their generous sponsors donated. It was also a surprise to everyone of Jillian Warren proposing to Austin Westphal during the reward ceremony. Congratulations to both of you! The announcement of your engagement was without a doubt perfect among your close friends in the Subaru community. During the ceremony, I was humbled to hear the announcement of the 1992 Subaru Loyale placing Best Overall Old School. It was this Subaru previously owned by Chris Miller that inspired the launch Subaru-Adventures.com to share its uniqueness and versatility we dreamed to complete and share with the world. The 1999 Subaru Impreza 2.5RS was also generously given 3rd Place Impreza (1999 – 2001). This Impreza was my first Subaru purchased in 2004 and today it was awarded its first trophy in a car show. Thanks to Yuriy Antonenko with FORCE Dreams – Antonenko on manufacturing the genuine WRC lamp pod replica. His passion and dedication in building WRC replica parts truly shows the master in art he has inside. 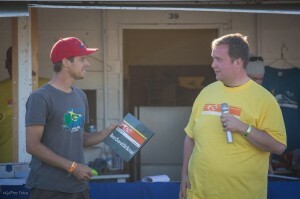 Thanks to GoffrayFotos for capturing additional photos of the announcements at the reward ceremony. 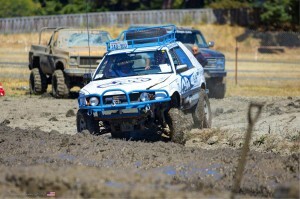 While on the drive home from Jefferson County Fairgrounds, Đäniel experienced brake smoke and resistance in the 1984 Subaru GL. We discovered the front left brake caliper to be seized. We successfully were able to maneuver and grease the piston using a brake caliper rewind tool to make the drive home safely. Only 30 minutes from home, the GL experienced more technical problems. This time it was the coolant system overheating. Using a multimeter, I discovered an open circuit in the coolant temperature sensor under normal idling conditions not allowing the circuit to be completed (grounded) to turn the primary cooling fan on. By simply isolating the coolant temperature sensor, I was able to connect it to a common ground. 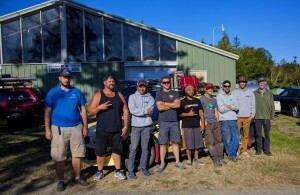 Shortly after, the Loyale experienced an electrical cutout in the main electrical system burning the main black fusible link. I replaced the fusible link with a spare and was able to make it home. I noticed contacts on the male pin inside the black fuse box where the black fusible link connects were burnt due to arcing. I have yet to troubleshoot the cause and repair the contacts. New temperature sensor, new front brake calipers on order. In the end, an adventure doesn’t come without any drama of and including mechanical or electrical problems enroute. Thanks to everyone who participated and apologies to who’s Subaru’s I did not include in the production.